In terms of mattress features, a latex mattress provides a sleep experience that falls somewhere in between a memory foam mattress and an innerspring mattress. Consumers who need ample body contour and pressure-point relief choose latex mattresses to get a good night’s sleep and wake up without achy hips and shoulders. While soft enough to cradle pressure points, latex mattresses are also supportive. They offer a degree of bounce and a quick response time, making them an excellent choice for those who change sleep positions and move around throughout the night. Consumers shopping for latex mattresses will have their choice of two kinds of latex: all-natural latex and synthetic latex. 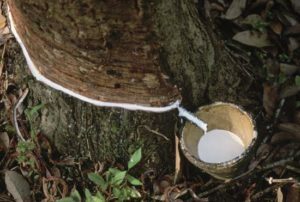 100% latex mattresses are all-natural, made from the sap of the rubber tree. They’re much more expensive than their synthetic counterparts, but they put off less of an odor. Synthetic latex mattresses are made of petrochemicals that mimic natural latex. They’re less expensive, but put off an odor for an initial period of time. Blended latex mattresses are an attractive option that combine the benefits of natural latex with the cost-effectiveness of synthetic materials. Latex hybrid mattresses offer the pros of latex mattresses along with the benefits of other mattress types. These mattress designs may incorporate a natural fiber top cooling layer, a latex comfort layer, and inner coil springs for support. Like other mattress types, latex mattresses are available in a wide variety of models and features. In this guide, we’ll discuss our picks for the best latex mattresses based on manufacturer data and latex mattress reviews. We hope to help you take the guesswork out of choosing the best latex foam mattress. What makes one latex mattress better than all the rest? To choose the best latex mattress, it helps to understand how they’re constructed. First, latex foam is more airy and less dense than memory foam. 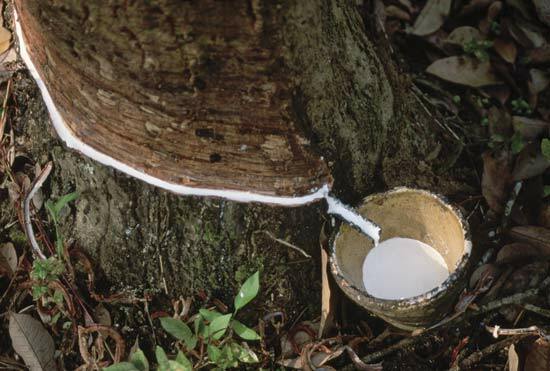 This is because it’s made from white liquid found inside the Hevea brasiliensis, or rubber tree. Excess water is extracted from the liquid before it’s processed into latex, and then air is mixed into the latex as it’s turned into latex foam. 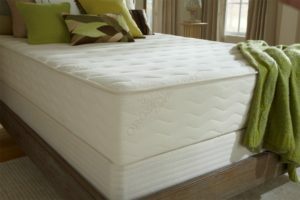 The result is a supportive, somewhat springy mattress material that works well as a comfort layer and a support core. Latex contours to the body better than an innerspring mattress while reacting more quickly than memory foam. When choosing the best latex mattress, you’ll need to consider the type of comfort layer that best suits your sleep style, as well as the type of material that makes up the support core. Read our full guide to Mattress Comfort Layers to learn more about comfort layer materials. To learn more about support core materials, read our guide to Mattress Support Cores. Many consumers make the mistake of believing that latex mattress construction is one-size-fits-all. They’ve heard that latex sleeps hot, is expensive, smells bad, or won’t be comfortable. Because of the wide variety of latex and other materials that are used in these types of mattresses, there is a latex mattress choice available for many different sleep preferences. Durability matters across the board, however, so consumers should know that a natural latex mattress or one made of a natural/synthetic latex blend will hold up longer without rips and tears than a fully synthetic latex mattress design. Contouring: Latex mattresses provide excellent pressure point relief. Support: The density of latex gives sleepers ample support for proper spinal alignment. 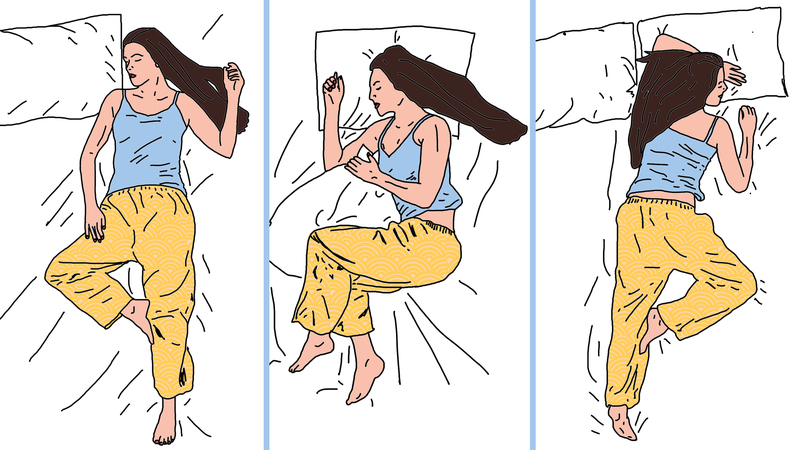 Spring: Latex mattresses are more responsive and bouncy than memory foam. Movement: Ample motion isolation helps prevent sleep disturbances. No offgassing of natural latex: 100% latex mattresses create no offgassing odors. More natural: Fewer chemicals are used during production of latex mattresses. Eco-friendly: All-latex mattresses are biodegradable. Firmness: Latex is firmer than other mattress materials, especially in the first weeks of use. Offgassing of synthetic materials: Synthetic latex mattresses create offgassing odors. High heat retention: Certain latex mattress designs sleep hot. Compression/indentation: Some consumers report compression of their sleep area in first 3 years of use. Cost: 100% latex mattresses can be quite expensive. Durability of synthetic materials: Synthetic latex mattresses are less durable than their latex counterparts. 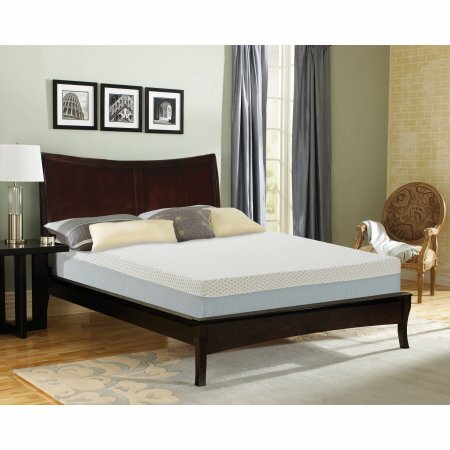 What type of sleeper should consider a latex mattress? Latex mattresses (and especially those manufactured with Dunlop latex) work well for back sleepers who need spinal support while they slumber. Reviews of the best latex foam mattresses indicate that the more supportive designs can help relieve lower back pain. Latex mattresses hug the body and provide excellent relief for pressure points, making them ideal for side sleepers. They also respond quickly when weight is lifted or moved, meaning that rolling over or getting out of bed won’t be a struggle. Unlike memory foam (which allows too much give for stomach sleepers), latex mattresses are known for providing superior support. A design constructed with firmer latex will allow stomach sleepers to rest easy without discomfort. As a result of the various layers that provide both comfort and support, combination sleepers also do well sleeping on a latex mattress. While foam layers often get a bad rap from hot sleepers, latex mattresses can be quite cool depending on the materials with which they’re constructed. 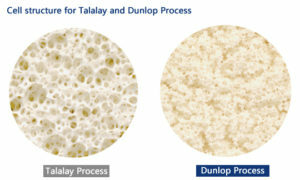 For a bit of a higher price tag, Talalay latex provides a cool sleeping experience. Breathable comfort layers can also provide airflow and temperature regulation. Latex is naturally resistant to mold and dust mites, making it a great choice for those with allergies. Latex mattresses have two benefits for those who are sensitive to chemicals. First, the lack of offgassing from natural latex means that they won’t experience harsh odors emanating from their mattress. Second, because latex mattresses naturally resist allergens, manufacturers don’t need to treat them with chemicals to deter mold and dust mites. To help consumers choose the best foam latex mattress, we’ve compiled a list of latex mattresses that stand out from all the rest. Using our in-depth knowledge of mattress materials and technology, we carefully researched manufacturer data and consumer reviews to arrive at our choices. Our choices for best latex mattress are split into two categories: all latex and latex hybrid. Dedicated to the art of “old fashioned” mattress-making, Spindle advertises its product line as the “mattress-maker’s mattress.” Headed by 4th-generation mattress-maker Neal Van Patten, the direct-to-consumer company prides itself on selling affordable latex mattresses that are made of materials sourced in the U.S.
Latex: Each Spindle mattress is designed with three 3” layers of natural Dunlop latex that are manufactured in Pennsylvania. Wool: A 1” wool batting comfort layer provides temperature control and moisture wicking. The sheep that produce this eco-wool are raised in the Pacific Northwest. Cotton: The eco-cotton cover is organic, produced without the use of pesticides, bleach, or pigments. The manufacturers used a circular knit method to maintain the feel of latex. Customizable: With soft, medium, firm, and extra-firm models in their lineup, Spindle has options for a variety of sleep preferences. They also allow customers to customize their mattress by rearranging the layers. Support: The Spindle provides ample support and spring, which means that changing positions on this mattress is easy and comfortable. Sleeps cool: Its wool comfort layer keeps the Spindle breathable so that it doesn’t sleep hot for most users. Durable: The all-natural materials come together to create a durable mattress with no immediate odor upon delivery. The Spindle is expected to last from 5 to 10 years. Sleep trial and warranty: Spindle offers a 30-day adjustment period in which they’ll work with customers to add additional firmness or a layer of softness to get the fit just right. If the purchase doesn’t work out, they’ll refund all but $300 of the purchase price. They also offer a 10-year limited warranty. Check out our full review of the Spindle mattress for more information. Sleep On Latex made our list of best latex mattresses because their products are high quality and made of 100% natural materials. They designed the Pure Green Natural Latex Mattress to be comfortable, durable, and attractive. It’s available in soft, medium, or firm, as well as a 7-inch and 9-inch thickness. Latex: The support core of the Pure Green Mattress is 100% natural Dunlop latex foam. It contains zero synthetic latex or fillers. Wool: Sleep On Latex uses GOTS-Certified New Zealand Wool for their comfort layer. This keeps sleepers cool while creating an effective fire barrier. Cotton: The all-natural materials in this mattress are topped off by a 100% organic cotton knit fabric cover. Support: The Dunlop latex support core makes this one of the best latex mattresses for back sleepers who need good spinal support. Contour: While supportive, this design has enough contour to offer effective pressure point relief. Sleep On Latex designs their covers with enough stretch to allow the latex to give and flex a bit. Removable cover: The cover of each Pure Green Mattress is designed with two pieces that can be removed by unzipping the heavy-duty zipper hidden underneath the bottom edge of the mattress. The cover can be completely removed for dry-cleaning if the need arises. Sleep trial and warranty: If your mattress doesn’t work out, Sleep On Latex offers free pickup anytime during the first 100 days. Their mattresses come with a 10-year warranty. 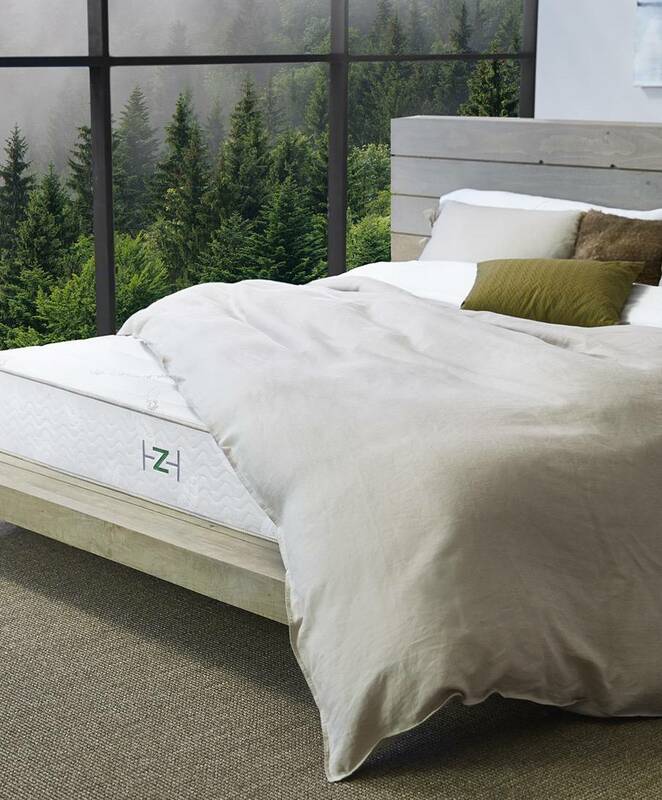 After the success of its line of innerspring mattresses, Saatva launched a sister company, Zenhaven by Saatva, to specialize in all-natural latex mattresses. Saatva/Zenhaven has set itself apart in the direct-to-consumer mattress market by offering professional delivery and installation. Except for the cover, the Zenhaven is entirely constructed of all-natural latex. This sets it apart from other options in our best latex mattress reviews (and means that the mattress comes with no chemical odor). Luxury plush comfort layer/Gentle firm support layer: The support core of the Zenhaven is made of 1.5 inches of Talalay latex. For the Luxury Plush firmness level, this provides necessary support as the bottom layer. In the Gentle Firm firmness level, this is the top comfort layer. The 5-zone comfort design allows for pressure relief, while still providing enough responsiveness and bounce for ease of movement. 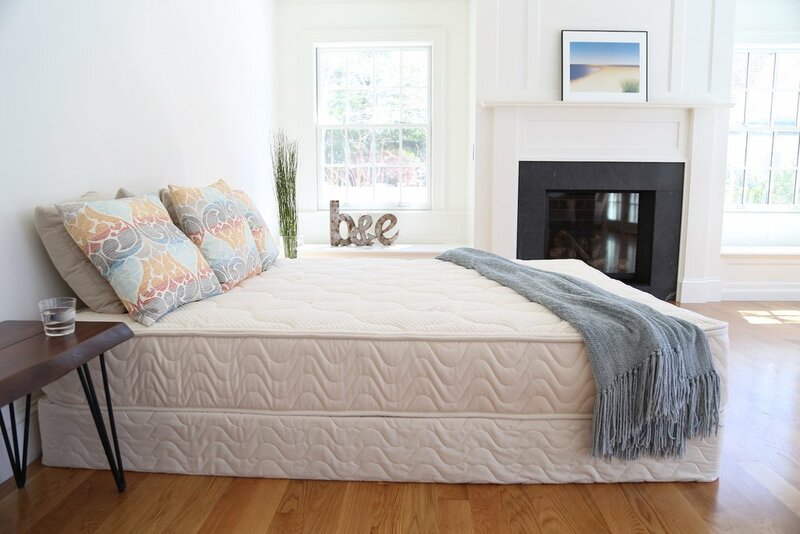 Second comfort layer: Made of 3 inches of Talalay latex, this layer helps provide pressure relief, as well as added support. Transition layer: As each Zenhaven latex mattress can be flipped, 3” of Talalay latex provides a transitional layer for the Luxury Plush firmness level and additional support for the Gentle Firm firmness level. Cover: The mattress cover is one-inch thick and made of organic cotton and organic New Zealand wool. Flippable: Zenhaven mattresses are designed to be flippable, with one side built to Luxury Plush firmness and the other side Gentle Firm firmness. Motion isolation: Zenhaven mattresses offer consistent motion isolation on both sides. Adjustable firmness: Edge support and firmness vary. The mattress has more give on the Luxury Plush side. 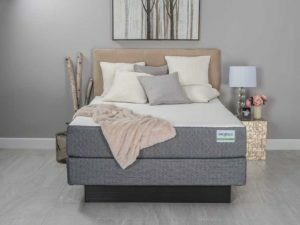 Sleep trial and warranty: The company offers a 120-night sleep trial and will pick up the mattress and provide a full refund (minus the delivery fee) if the customer is unsatisfied. The company also offers a 20-year warranty. Check out our full review of the Zenhaven for more information. 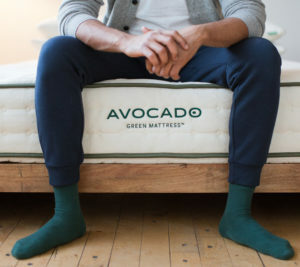 While Avocado seems like a strange name for a mattress brand, the company got its moniker because of its all-natural Avocado Green Mattress. Avocado mattresses are non-toxic, eco-friendly, and handmade in California. In addition to this, the company provides free shipping and returns. 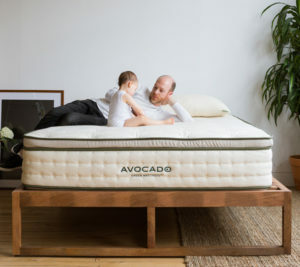 Coil support core: With its ergonomic support coils, the Avocado Green Mattress combines the firmness and comfort of a latex mattress with the support of an innerspring mattress. Designed with 3 distinct zones of 576 to 1,414 coils, the mattress is built to provide ergonomic support with a reinforced perimeter. Latex: 100% natural Dunlop latex foam is durable and resilient while allowing for gentle support and breathable temperature control. Wool: A layer of Joma New Zealand Wool helps wick away moisture, repel microbes and dust mites, and provide a natural fire barrier. Cotton: All Avocado mattress covers are button-tufted and crafted with soft and breathable organic cotton. Thickness options: Avocado mattresses come in standard and European-styled pillow-top models. The standard mattress is 11-inches thick and is a good choice for back and stomach sleepers. Meanwhile, the pillow-top design features an additional 2-inches of Dunlop latex for side sleepers who need more pressure relief. Sleep trial and warranty: Each Avocado Green Mattress is covered by a 100-night risk-free sleep trial and a 25-year limited warranty. Made in the US: The company prides itself on manufacturing in the US and creating jobs that pay a living wage to their employees. Learn more about the Green Mattress by reading our full Avocado Green Mattress review. GhostBed gives customers the choice between hybrid latex foam mattresses as well as memory foam designs, but for the purposes of this guide, we’re going to take a look at their latex mattress. The company keeps it simple with one latex bed-in-a-box mattress model offered in a variety of sizes. Comfort layers: 1.5 inches of aerated latex foam allow for pressure relief and good response to movement. This layer and the removable polyester cover are breathable and help with airflow and moisture control. Middle support layer: Made of a proprietary gel memory foam, this layer gives additional pressure relief and temperature regulation while providing more support than the top comfort layer. Support core: The 7.5-inch foam support core helps provide the support and stability at the heart of the GhostBed latex mattress. Firm: GhostBed’s high-density foam support core layer makes it ideal for sleepers who need firm support with practically no bounce. Sleeps cool: The comfort layer of aerated latex foam allows airflow that keeps sleepers cool all night long. Motion isolation: Motion isolation in the GhostBed latex mattress is excellent. 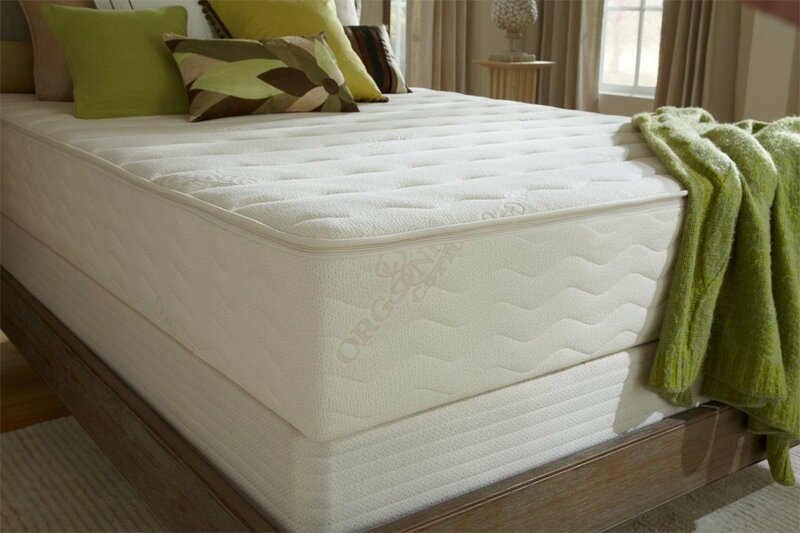 Offgassing: Latex mattress reviews indicate that users notice a slight offgassing smell when unboxing the GhostBed. However, the odor tends to dissipate quickly. 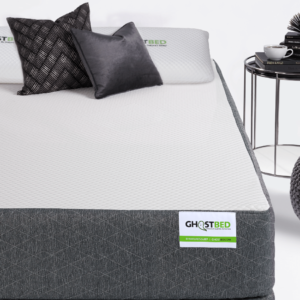 Sleep trial and warranty: GhostBed’s 101-night sleep trial gives customers ample time to try their new mattress out. Each GhostBed latex mattress is covered by a 20-year warranty. Check out our full review of the GhostBed mattress for more information. PlushBeds manufactures an entire line of products, from latex mattresses to memory foam, sofa, and RV mattresses. Their use of the highest quality, nontoxic materials and focus on comfort and innovation is why we chose them for our list of best latex mattresses. 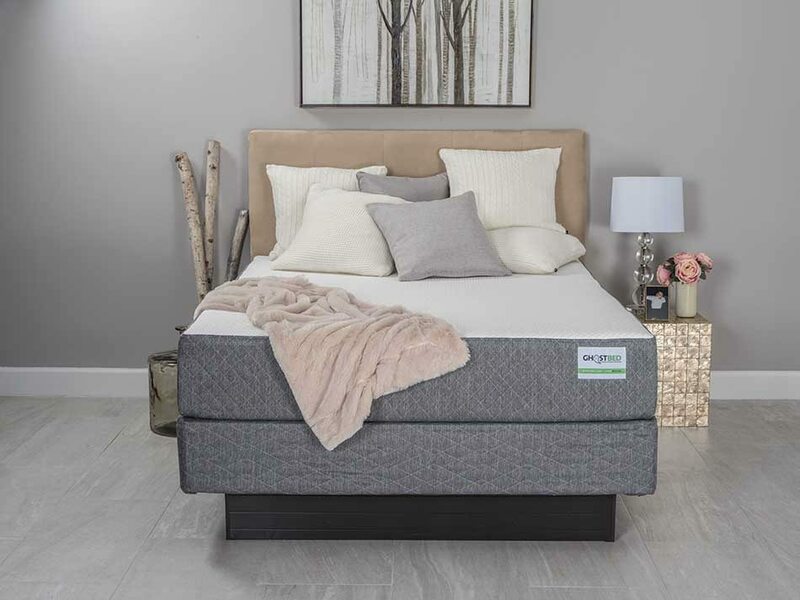 Their Eco Bliss Collection comes in an 8-inch, 10-inch, or 12-inch model and provides the benefits of latex with the features and affordability of a hybrid mattress design. 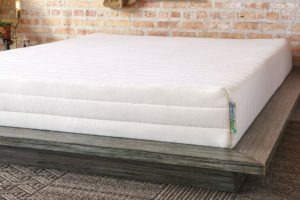 Comfort layer: Every Eco Bliss PlushBeds latex mattress features a stretch cotton cover that helps reduce pressure on the surface of the mattress. Their proprietary Eco Fire Barrier is made of plant fibers and does not contain any toxic chemicals. Latex: Providing support and pressure relief, the 100% natural latex layer ranges from 2” on the 8-inch mattress model all the way up to 4” on the 12-inch model. Support core: Customers get between 6” and 8” (depending on the model they choose) of CertiPur-certified poly foam that gives excellent support without sagging or leaving permanent body impressions. All natural: Eco Bliss Mattresses are made with no animal or wool products. 100% natural materials mean no glued layers. No offgassing odors: Because of the materials used, EcoBliss mattresses present no offgassing. Sleep trial: PlushBeds offers a 100-night guarantee. During this time, unsatisfied customers may box their mattress for a curbside pickup return. Learn more about PlushBeds in our full PlushBeds Eco Bliss mattress review. Visit the PlushBeds website for discounts on the PlushBeds Eco Bliss mattress!